Nowadays, data drives nearly everything. We often talk about “the cloud,” but the data is really located in data centers, and these data centers are big energy consumers – or have been up to now. 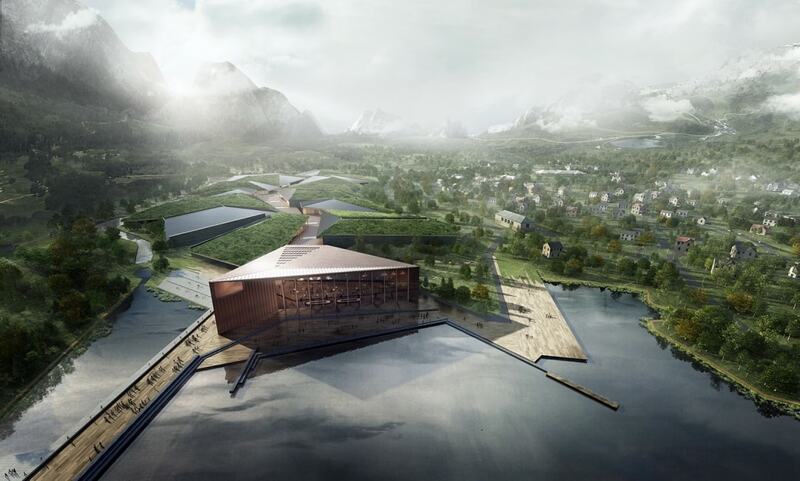 MIRIS, a real estate development company, working with Norwegian architects Snøhetta, believe we can turn this around with data centers that produce more energy than they use. The designers say that the new-style data center, dubbed the Spark, could power cities with up to 18,000 inhabitants. The concept was born from the findings of a study which looked at worldwide energy consumption. According to the researchers, 40 percent of the world’s energy is used to power buildings, and two percent of the energy used already goes to data centers. As cities become increasingly data-driven, this energy need is expected to rise – unless data centers themselves can become buildings that generate energy. 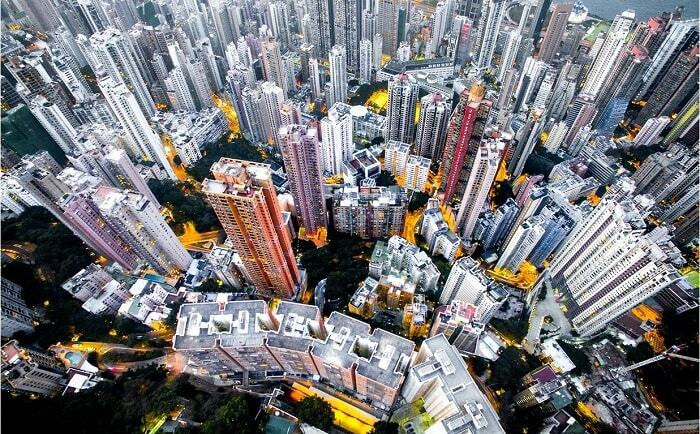 By changing the way we think about data centers, a sustainable concept could become an urban reality. «The heat generated by data centers represents a huge untapped potential in terms of energy capture that we wanted to explore further. 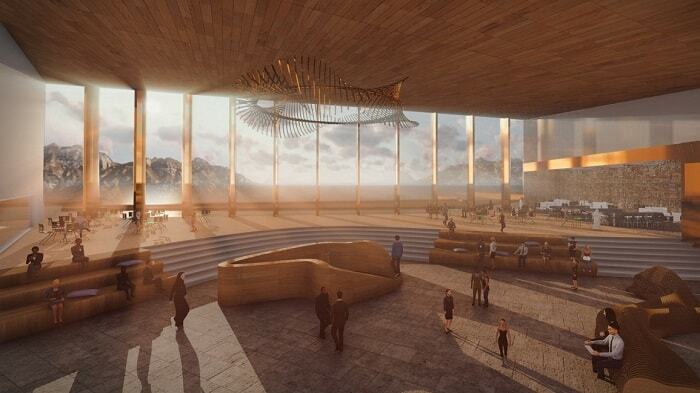 By efficiently and sustainably exploiting excess energy that would otherwise go to waste, we can use technology to generously support health, recreation and the environment», says Founding Partner at Snøhetta, Kjetil Trædal Thorsen. 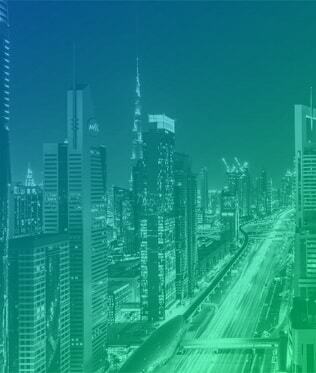 Until now, data centers have been sited outside urban centers, but MIRIS and its partners believe that locating them in the heart of cities is a far more sustainable solution. After all, data centers generate a great deal of heat which, up till now, has gone to waste. If the heat is channeled to surrounding buildings, it will reduce their energy consumption. Meanwhile, solar panels could generate the energy the data center itself needs, thereby making it an energy producer rather than an energy consumer. According to the prototype designers, one data center could provide enough heat to keep public facilities like gyms or spas comfortable, help to keep industrial premises in hot water or heated air, or heat residential homes and apartments. Once the air has cooled, it can be returned to the data center to fulfill its cooling requirements before the now-heated air is cycled back into the loop. So far, it’s a case of a concept that looks good on paper, but MIRIS and its partners are determined to prove that their concept can work. 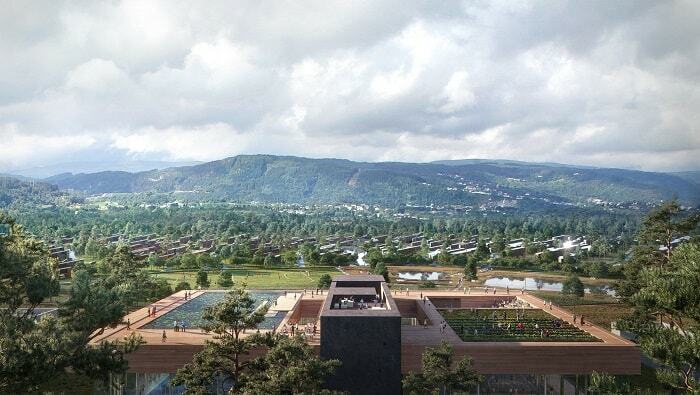 The city of Os, south of Bergen, will put the concept to the test. 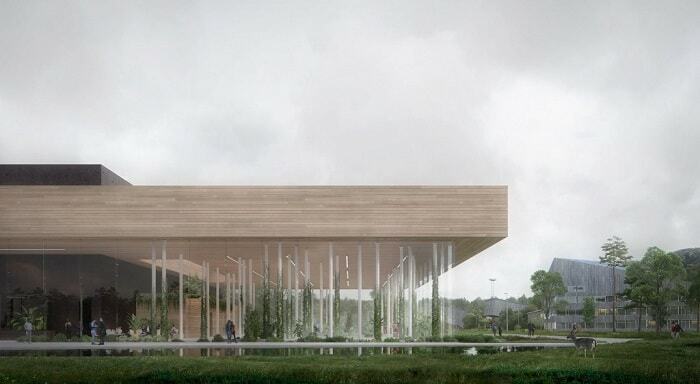 A sustainable Spark data center will form the hub of the new Lysparken business park, a development that could be viewed as a mini-city. The design also takes the sustainability of building materials into account. After all, a building’s carbon footprint is also determined by the emissions needed for producing construction materials and in erecting the structure. Thus, the design minimizes the use of materials such as concrete and will make use of low-embodied materials like wood.  Should the pilot project perform in accordance with the expectations of its designers, Lysparken will be the first energy positive development to successfully demonstrate a concept that could be applied to entire cities. 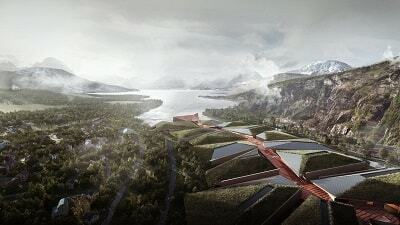 Snøhetta envisions a world in which “Power Cities” based on its concept are used to take care of the energy needs of inhabitants and even generate more energy than the city itself needs. It might not be too far-fetched to say that data centers have become the new polluters of our time. 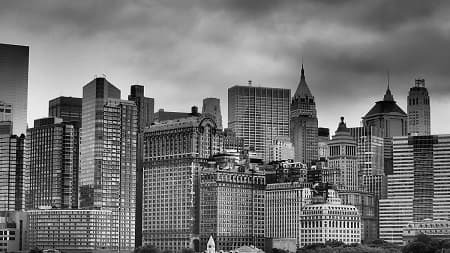 Quite a few of the world’s largest data centers, such as the Range International Information Group data center (Beijing), Switch SuperNAP (Las Vegas) or the Tulip Data Center (Bangalore), are located in and around cities. In the U.S. alone, an estimated 73 billion kWh are needed to power all data centers in 2020 – more than the half of Sweden’s total energy use in 2013. Reliable and innovative solutions which can help to reduce the carbon footprint of data centers, without compromising computing power if at all possible, are in demand. According to the Sustainable Cities Index 2016, Stockholm, Sweden’s capital, is the third most sustainable city in the world. And even the latest OECD Environmental performance review praises Sweden as frontrunner regarding urban climate protection, renewable energy use, emission reduction, exceptional environmental policy instruments and much more. It seems Stockholm gives an example of action yet another time. The recently launched Stockholm Data Parks demonstrates how to minimize costs and improve the sustainable use of energy. 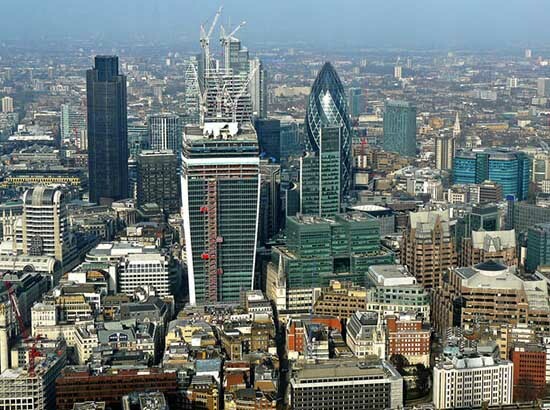 The partnership project, which is represented by the City of Stockholm, Ellevio, Stokab, Fortum Värme, and Invest Stockholm, can also be described as heat recovery project. The long-term goal is to cover 10 percent of the heating demand of Stockholm’s private households with waste heat from data centers only. “So far, most data centers have been built with little consideration for the environment. We want to change that. With the significant synergies between recovered data center heat and the city’s environmental objective to become fossil fuel-free by 2040, I am determined to make Stockholm a major hub for sustainable data centers,” says Karin Wanngård, Mayor of the City of Stockholm. With renewable electricity and waste heat sold, the carbon footprint of Stockholm Data Parks but also their cost efficiency has been improved compared to conventional data centers spending money to power the computers as well as for the energy-hungry cooling process. Heat waste, which is fed into the district heating grid completely, eliminates the risk relying on a single consumer, such as one building or a limited residential area, for absorbing all the data center heat. The first data park was launched on 7 March 2017 in Kista/Akalla, Sweden’s ICT hub. Other sites will follow over the time. “With a market of more than 80 million people within a roundtrip delay of 30 milliseconds, covering all major cities of Northern Europe, the Baltic states and western Russia, Stockholm is an ideal location for cloud players and other major data center actors,” adds Göran Långsved, Chairman of the Board at Fortum Värme. According to Stockholm Data Parks, energy costs can thus be reduced to less than €0.04 per kilowatt-hour. This can also be attributed to the recently changed tax conditions for data centers. 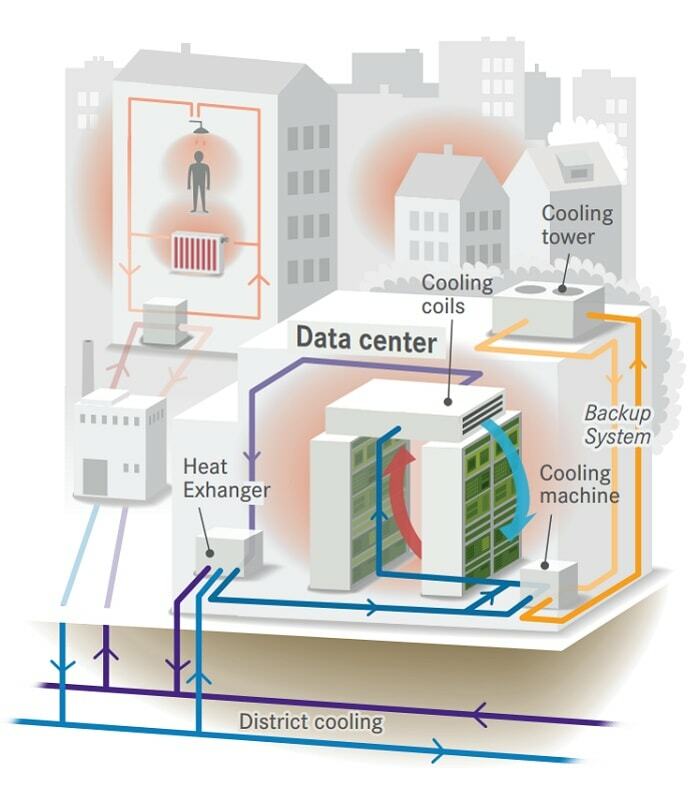 In case a data center load is crossing the 10 MW (enough to heat around 20,000 energy efficient residential apartments), Stockholm Data Park Kista offers free cooling service in return for the so heat. The 12 TWh/year municipal district heating network is heat-hungry enough to accommodate heat recovered from the data centers. Three separate circuits are used. The internal chilled water loop in the data center is never in contact with the cooling water for the municipal district heating network. With heat pumps, the district cooling and heating provider Fortum Värme increases the water temperature to 68 °C. A backup system, the third circuit, will be used less than 750 hours yearly to reduce the temperature of the supply of the internal data center circuit – cooling down the computer servers. As an exception, this heat is simply being released into the atmosphere as a waste product. Fortum Värme has more than 25 years of experience regarding capturing and using surplus heat. There are options to recover excess heat in Stockholm. Data centers can choose to produce their own cooling with heat pumps to feed in the heat into the heating network. Alternatively, the can make use of the Cooling as a Service, (CaaS), from Fortum Värme. They carry out the data center’s excess heat to a production plant in a return pipe where centralized heat pumps generate heat for the municipal district heating network. To sum up the relevant message in a nutshell: Deploying heat recovery and using renewable electricity to power a data center enables to become net climate positive. A reduction of nearly 8,000 tons carbon dioxide emissions is possible with a 10 MW data center load.